One thing that is frustrating to a student such as myself, who works hard to master the content of the curriculum, is teaching to the test. My experiences at Maharishi University of Management (MUM) revealed professors explicitly telling students which content will and will not be included on the test. To make matters worse, this attitude falls in wake of other students‘ questions to ambiguously explained lessons. I would sometimes overhear the professor responding to particular student queries on a one-to-one basis with such rhetoric as “You don’t need to worry about that, just focus on ‘this’ because ‘this’ is what’s going to be on the test.” This is obviously unfair to students who dedicate themselves to mastering the entire lesson. It’s also unfair to the student from which the query arises, as they don’t receive the answers they desire — and paid for. In some cases, if the professor found that a majority of the class wasn’t entirely grasping a concept or lesson, they’d simply strike the lesson from the module altogether. This is particularly frustrating to students who’ve invested themselves in study to master the occasional ‘challenging’ material. It also breeds a culture of students who expect, or become dependent on, these sweeping academic concessions. Some times, through the concept of students teaching students, the burden of teaching falls on the shoulders of the students rather than the professor. I’d tend to steer clear of participating in these sorts of actions, in part because it’s simply not my role in the teacher-student dichotomy, but largely because I refuse to accept liability for the instruction of my classmates. What if I’m inaccurate in my instruction? Like most of my entries on this website, I reported this phenomenon to the Associate Dean of Students. And like other things I’ve reported, they were shocked by my allegations. Again, I try to believe that the intentions of the university at large is well meant at heart, but I find myself unable to escape the obvious possibility that these methodologies are in lieu of statistical advantage; creating the illusion that the university, it’s professors, and student’s are far more proficient than they actually are. In effect, these tactics embellish the G.P.A. of a few students who may struggle here or there, at the cost of those who work hard to be exceptional. This is not to say that a student who struggles isn’t exceptional, as a matter of fact I argue the contrary. Overcoming academic challenges exercises the mind, and in such action the students‘ intellect is strengthened — in my opinion. 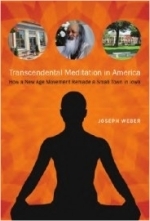 The parity between teaching to the test, and truncating lessons that aren’t immediately grasped , results in the illusion of academic proficiency for which they are quick to attribute to the Transcendental Meditation technique when in fact it serves to undermine it. It would be my best estimate that these are perfect opportunities to demonstrate how inner focus can aid students in transcending challenges. Of course, there’s nothing that any overseeing agency can do to combat these practices, upon their visit they will certainly be escorted to classes postured specifically for review. Moreover, I attribute much of the diminished comprehension of modules to the lackluster text ‘packets’ — see my entry on the 90 Minute Homework Myth. This is much the riddle of how the university maintains it’s accreditation with The Higher Learning Commission and North Central Association of Colleges and Schools — due for renewal in 2020 according to some sources. I could cope with these counter-intuitive methods with greater enthusiasm if the university renamed itself “Maharishi Institution of Transcendental Meditation” or if the tuition was less than $26,400.00 per year — perhaps $5k per year would be more sensible.